In recent years, around 1000 people have downloaded the app. Here’s an update on a few recent developments with FEAST that may be of interest. While developing FEAST we have also been working on a prioritization tool to help match new feeding strategies to local conditions. Until now this has been called Techfit. Recently we took all the thinking behind Techfit and built it into a new module of FEAST called the “Intervention Ranking Analysis”. This new module allows users to rank a series of possible feed interventions based on their suitability to the farming system, commodity and socio-economic conditions of their target community. The Intervention Ranking Analysis provides a narrative explanation of the suitability of each intervention to local conditions. It’s a beta version for now and we welcome feedback as always. You can download the latest version of the FEAST app here. 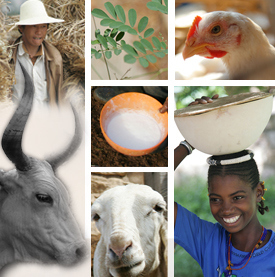 Related to the above, we have produced a series of around 30 Tech Sheets which provide a brief description of the main feed intervention options for developing world smallholder/pastoral systems. These help users to visualize possible options and understand how they fit varying local conditions. View the sheets. We have developed an online data repository where you can upload FEAST data from individual study sites and download it again in aggregated form from a number of study sites. You can also download data collected by others if they have made it public. We encourage the FEAST community to make their data public to widen its reach and make it usable by others. We also ask for appropriate acknowledgement of FEAST data if you download it and use it for research purposes. Tags: feast, techfit. Bookmark the permalink.